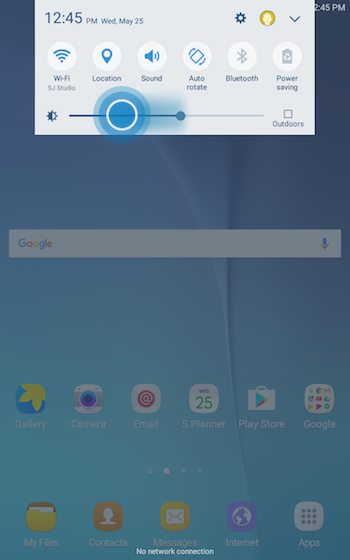 You can adjust the brightness of your device's display. 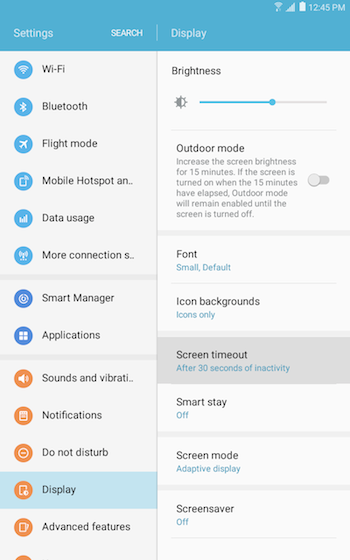 You can also adjust the screen timeout, i.e. the amount of time it takes your device's display to power down when it's not being used. 2. 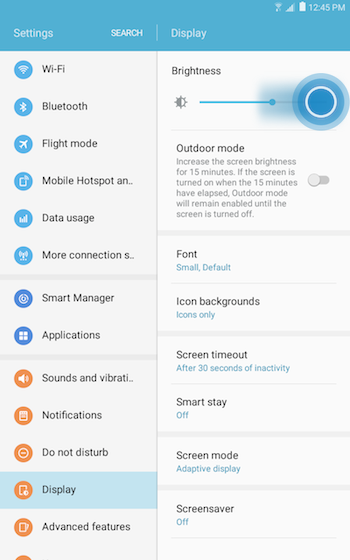 The brightness adjustment slider is just below the Quick Settings Panel shortcuts. Touch and drag the slider to the right for a brighter screen or to the left for a darker screen. 3. Sscroll to and touch Display . 4. Touch and drag the Brightness slider to the right for a brighter screen or to the left for a darker screen. 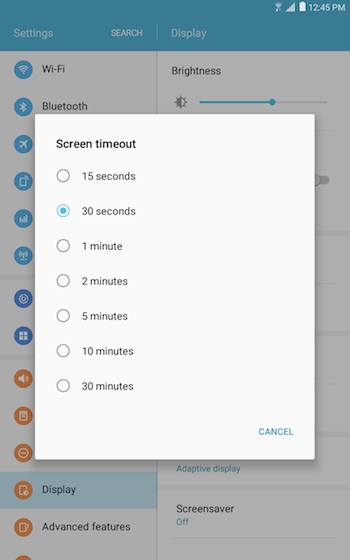 Note: Reducing the screen timeout can assist battery conservation. 5. Select the desired delay from 15 seconds of no activity up to 30 minutes. 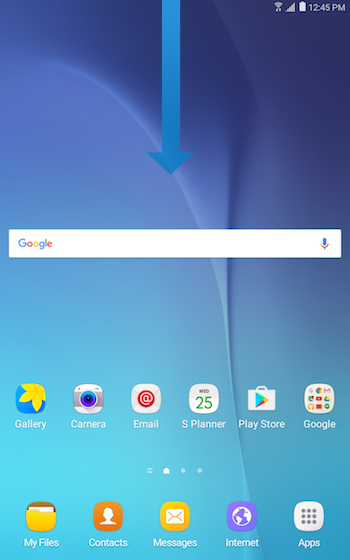 How do I add other languages to the virtual keyboard of my Galaxy Tab E LTE and use them?